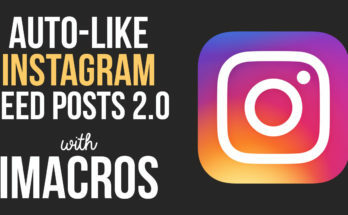 A simple script to like Instagram posts on your home feed. This is a great way to stay engaged with people you follow. To use this script go to your home feed at Instagram.com. You must be logged in to your account. Run the script with the Repeat Macro feature. I set a wait time of three seconds between posts. I would suggest increasing this time to 5-10 seconds. If you like posts to quickly, Instagram may suspend your account for a few hours. Let me know if you have any questions or errors in a comment below. The script can’t found the ”Like” button, is it a change on instagram website ? The script has been updated. Should work now. Let me know if you have anymore questions. I updated the script. Should be working now. Let me know if you still get errors. Why i take a message like that? Not sure. It’s working for me. What browser are you using? Are using the site in English? I have this error too. When I try to run more than 6 or 7. The script can not find the tag anymore. I’ve tried it on both Chrome and Firefox. What can I do to resolve the issue? The script has been updated. Try it out and let me know if you have any issues. 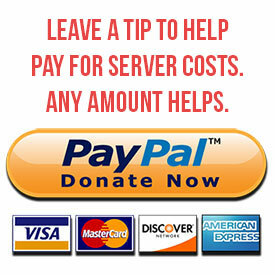 If it helps you out, please consider leaving a tip to help pay for server costs. Thanks!